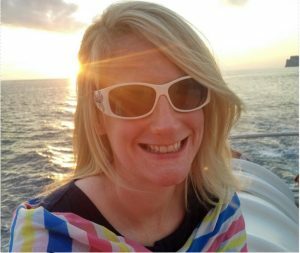 “The #MeYouDontSee in this picture is maybe not what one would think of when considering perinatal mental health. 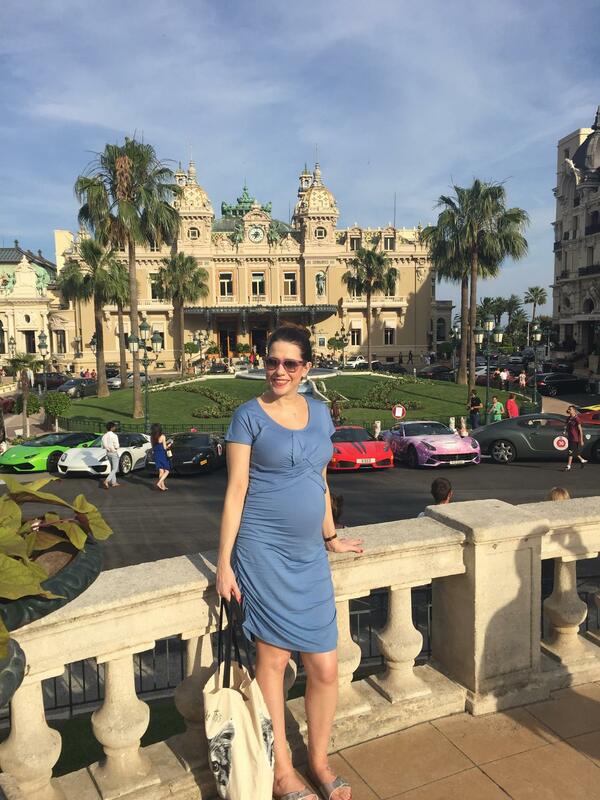 This is me, 6 months pregnant outside the casino in Monte Carlo in Monaco. It is the photo I used to “announce” my pregnancy on social media. It was the worst holiday I’ve ever been on, and I was in so much pain and felt so sick when this was being taken. Before I posted this picture, no one but those closest to me knew we were having our first baby. This is because every day from I was 6 weeks pregnant, I was horrifically sick. Beyond morning sickness, beyond “all-day” sickness- I was diagnosed with hyperemisis gravidarum just before I was 8 weeks pregnant. I spent most weekends in my first trimester in hospital (and many more thereafter), with constant drips up and 3 different types of antisickness drugs and injections. It continued right until the day before my daughter was born. It was the hardest thing I’ve ever had to endure in my life. There were very dark times, thoughts that I would never at the time admitted to having. By the time I attended my booking in appointment at 10 weeks, I had already lost over a stone in weight, despite having to wear maternity clothes by then- I showed very early. Every day felt like a week, and at more than one point I truly believed I was going to die. And at more than one point I questioned where I was going to find the strength to make it through. But I did- with the amazing support from my friends and my family, I endured 39+6 weeks of this hell. Pregnancy is supposed to be the most amazing time of your life, where you glow and blossom and radiate joy as you grow this amazing new life. For me, and for many, it is the biggest struggle we will ever face, and yet we feel like we have to hide the truth, that we have to play down the pain we feel, that we have to be happy and accept that it’s “all part of being pregnant”. It’s not. It’s a devastating illness, that left me traumatised and unsure that I could ever go through it again. Thank you, Gemma, your honesty is refreshing & inspiring and also for raising awareness of Hyperemisis Gravidarum. If you are also struggling you can find great help and support from – Pregnancy Sickness Support (Hyperemesis) UK.